Some of the most profound words of our 12-year marriage were spoken last Sunday night. My husband and I were at an impasse on a minor household issue. We were spinning our wheels with lots of words, but making no progress. A simple solution was within reach, but we couldn’t see it. All I could see was my perspective and all he could see was his. And we didn’t know what we couldn’t see because…we couldn’t see it. That’s when my husband threw some light on the situation – and our whole marriage. It’s true. We’ve enjoyed and wrestled through these differences through our whole marriage, but had never pin-pointed it quite so succinctly. We process the same information with two completely different operating systems. His brain takes in information and spits out an equation with a neat, tidy answer. I take in the same information and out pops a rainbow. It takes a lot of work to understand how someone else thinks. It’s even harder to actually thinklike someone else. But that’s what marriage requires. Marriage requires occasionally trading brains. When I was little I remember playing with red decoder paper at Vacation Bible School. It was the see-through red plastic that you could lay on top of a crazy pattern and reveal a secret message. In marriage each spouse has their own decoder paper. You both approach the same patterned page, lay your decoder paper on top, and come up with two completely different revealed messages. Our default is to try to convince each other why our message is the right one. But rather than trying to out-argue one another, we simply need to trade decoder papers. The point isn’t to agree, but to understand and appreciate how the other person thinks. In a debate with atheist Anthony Kronman, pastor Tim Keller said the best way to work through a disagreement is to take turns interpreting each others’ sentences. “What I heard you say was, _______.” The other person then has the opportunity to confirm it or to say, “No, that’s not what I meant,” and rephrase it until it is repeated back the way it was intended. This is trading brains. This is trading decoder papers. Keller acknowledged that it takes a long time to have a discussion that way, but in the end it is much more profitable. When we invest this time in our discussions we can look at our spouse and say, “I guess if that’s the way my brain worked, I’d be thinking exactly the same thing.” And often a compromise will be reached that hadn’t even been on the table moments before. So which one are you? 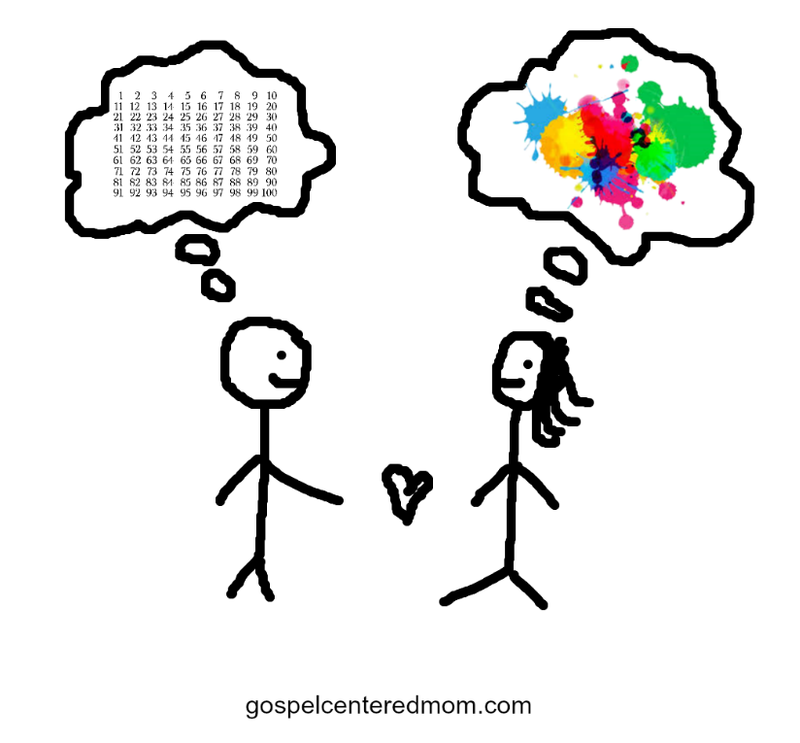 Are you the calculator or the art easel? Or something different altogether? 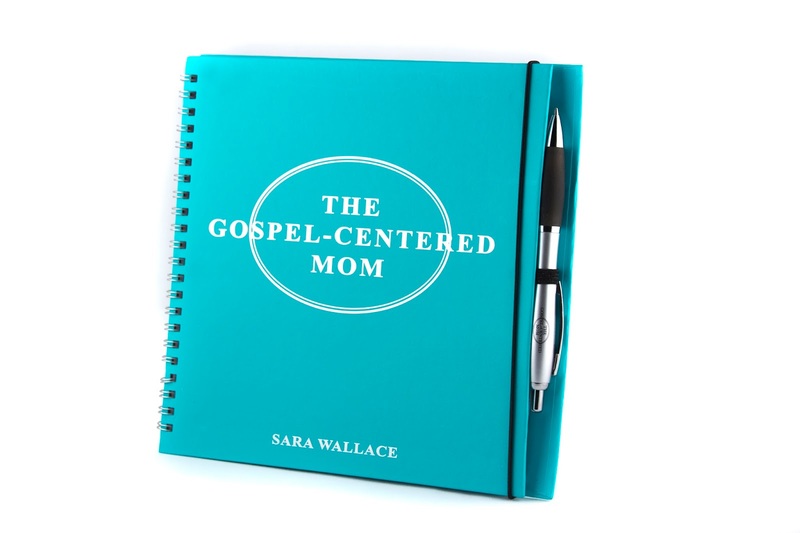 “The Gospel-Centered Mom is the single best parenting book I’ve read since becoming a mom.” – Amy T.
Looking for a study to do with some friends? Check out how to use this study in a group!